The Nomination Period for the 36th Annual Volunteer Awards is now closed. Every year, thousands of volunteers across the province dedicate their time to the many non-profit and charitable organizations here in Manitoba. Without the help of these tireless individuals and groups, many of our non-profits, community groups and charities would no longer be able to provide supports and services to thousands of people across the province. Purchase tickets or Sponsor a Table: Click here for more information! If you are interested in giving back to a non-profit organization by supporting an individual to attend the volunteer awards, are part of a company that would like to give back to the community, or you are interested in supporting this event, please read the Volunteer Awards Dinner - Sponsorship Package. Announcing the Recipients of the 36th Annual Volunteer Awards! For thirty-six years, sponsors and supporters have been helping Volunteer Manitoba recognize the incredible contributions that volunteers make in our communities across the province. We are incredibly grateful for the support we have received to date, without which we would not be able to produce the Annual Volunteer Awards Dinner. 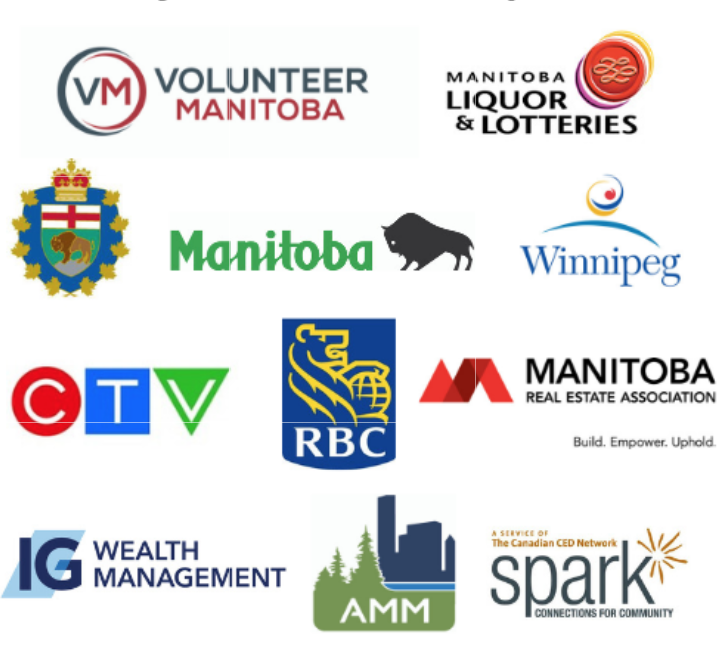 On behalf of the board and staff of Volunteer Manitoba, thank you to this year's Volunteer Awards Dinner sponsors! Photos from the Annual Volunteer Awards Dinner can be seen on our Facebook Page!